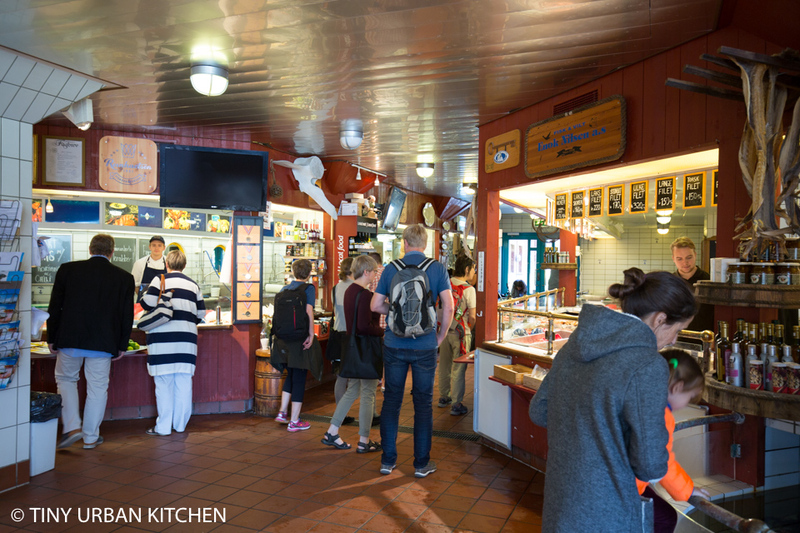 This is the eighth post in the Cruise of Copenhagen and the Norwegian Fjords series. Other posts in this series include Restaurant Karla Copenhagen, Restaurant Relae, Pulpit Rock, Stavanger, Norway, Bergen Norway, Alesund Norway, and Geirangerfjorden. After spending a day at sea, we were finally heading to our last stop of the 8-day cruise. It has been exciting winding in and out of the fjords while exploring various towns. In some ways, we could already feel that the trip was winding down. Our last day we stopped in Kristiansand, the fifth largest city in Norway and the largest one in Southern Norway. The city is known for its massive zoo, multiple music festivals, and outdoor leisure activities. It is a popular vacation spot, especially for families, and tourism is huge here. The city is named after King Christian IV, who founded the city in 1641. The word “sand” refers to the sand beaches on which the city was built. Our ship dropped us off really, really early in the morning. It was so early, in fact, that we really felt like we were the only people in the city. As we (the people from the cruise ship) descended upon the quiet city early Saturday morning, we only saw other cruise ship people walking around. It really felt like everyone else was still sleeping. Thankfully, the city slowly awakened as lunchtime approached, and people started coming out. The fish market, which was empty in the early morning, filled up with people. I tasted some excellent smoked salmon free samples in the fish market. It was so good, in fact, that we decided to buy a package of it and just eat it outside. We also bought some hot Norwegian fish cakes, which were delicious. They reminded us of Chinese fish balls, but not as dense and more seared on the outside. They were fantastic. After lunch we wandered around the city, exploring the bustling downtown, quaint neighborhoods full of old wooden houses, and the beautiful and peaceful waterfront. It was a lazy day with no real planned activities. In some ways, it was a nice way to wrap up a busy and active week-long cruise. We spent time watching a swan family swim around while soaking in the sun. Because Kristiansand is so much further south than the other cities in Norway, it gets a lot more sun and it’s noticeably warmer than the other cities. I could actually walk around in short sleeves here! And then that was it. We boarded our ship right around dinnertime. This would be our last night staying on the ship. We savored the views of the sunset outside our balcony as we said good-by to Norway. Good-night beautiful country. I’m sure we’ll be back.